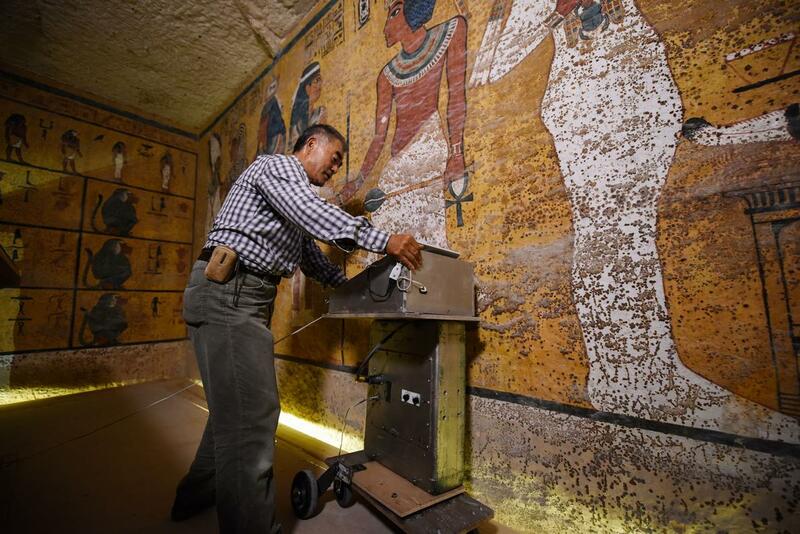 Follow the link below to an article by National Geographic providing a detailed description of the findings of the much anticipated investigation into what lies beyond the north wall of King Tutankhamun’s burial chamber. It provides a detailed account of this exciting event, written with the sensibility of ‘new’ history about to be uncovered. The scans were conducted by Hirokatsu Watanabe, a Japanese radar specialist. 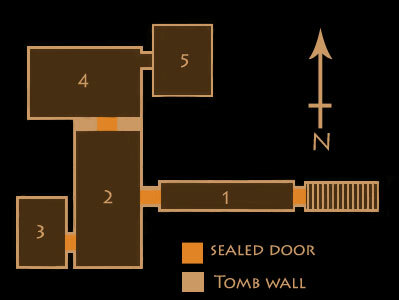 A full and final report of the findings has yet to be tabled, however the preliminary results are consistent with the speculation that there is another chamber beyond the North Wall. 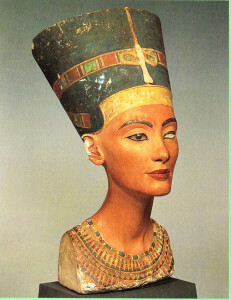 Dr. Nicholas Reeves, who instigated these proceedings, believes that it could be the final resting place of Nefertiti. Urban Pharaohs Festival and EED are thrilled to announce there will be two (only!) dance workshops offered. They will be fun, light hearted and filled with joy…reflecting the dance itself! These workshops will be open to all levels and will be conducted by Ehab Hassan, General Manager, Director, choreographer and trainer of the Mahmoud Reda Troupe, and Nesrin Bahaa Principal Dancer and personal assistant to Mahmoud Reda. 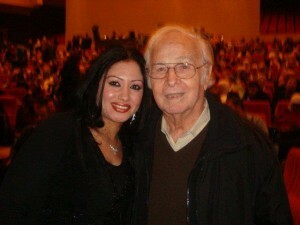 Ehab Hassan – Began his career with the troupe in 1978 and soon became the troupes Principal Dancer. His talents where further recognised when he was appointed General Manager, artistic supervisor and trainer to the troupe, roles he has held since 1985/89. 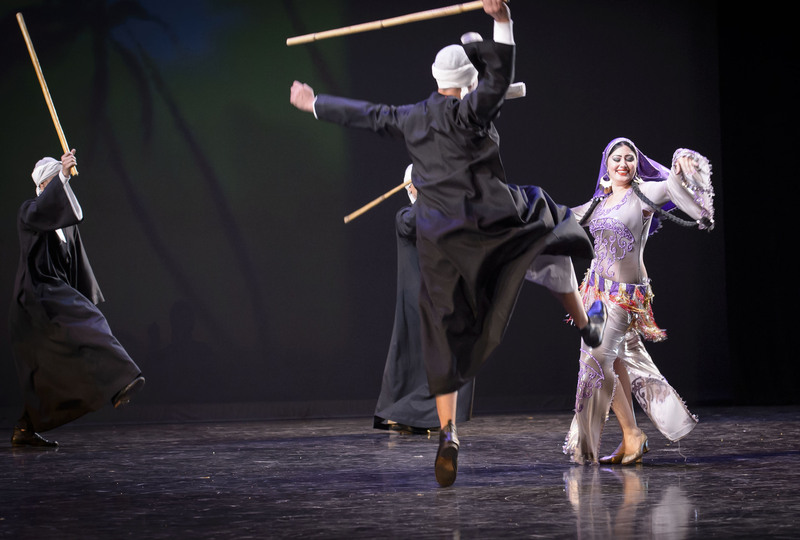 Ehab has received many accolades and awards worldwide for his work with the Mahmoud Reda Troupe both as dancer and artistic supervisor. Nesrin Bahaa – A dancer of extraordinary grace and presence, is the Principal Dancer of the troupe and has also been a member and teacher of the Egyptian Festival Nile Group since 2006. 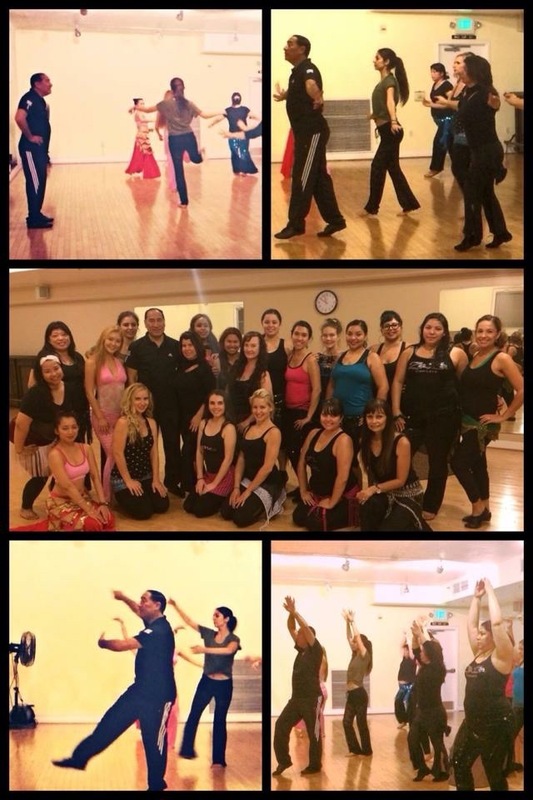 Nesrin continues to transverse the globe teaching Egyptian Folkloric dance. All are welcome to attend these workshops which will offer a genuine taste of Egyptian performance art as pioneered by the legendary Mahmoud Reda, with whom both Ehab and Nesrin originally trained. 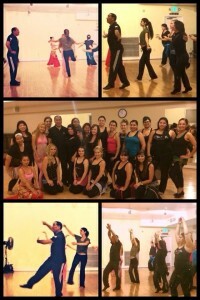 Master Trainer Ehab Hassan conducting workshops worldwide. Ehab Hassan session time: 12.30 to 2.30 p.m.
Nesrin Bahaa session time: 3.30 to 5.30 p.m.
Full details of payment, location, public transport/parking etc. will be given on application. THE ART OF URBAN PHARAOHS PRESENTS….. But wait…there’s more!…. we are thrilled to announce there will be two (only!) dance workshops offered. 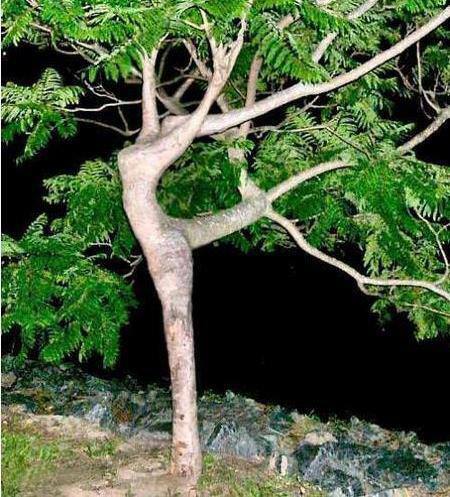 They will be fun, light hearted and filled with joy and humour….reflecting the dance itself! These workshops will be open to all levels and will be conducted by Ehab Hassan and Nesrin Bahaa. All are invited to share in these workshops which will offer a genuine taste of Egyptian performance art. 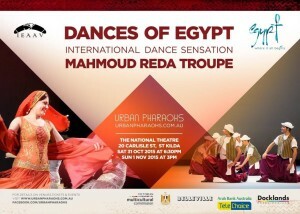 So come and experience a rare opportunity to workshop with Master Trainers/performers/choreographers of the renowned Mahmoud Reda Folk Dance Troupe. Ehab Hassan – Began his career with the troupe in 1978 and soon became the troupes Principal Dancer. His talents where further recognised when he was appointed General Manager, artistic supervisor and trainer to the troupe, roles he has held since 1985/89. Nesrin Bahaa – A dancer of extraordinary grace and presence, Nesrin is Principal Dancer to the troupe as well as trainer and assistant to the Director of the Mahmoud Reda troupe. PLEASE NOTE: All levels welcome for the workshops, come and enjoy the uplifting benefits of dance and music! BOOK NOW TO AVOID DISAPPOINTMENT – NUMBERS WILL BE CAPPED. 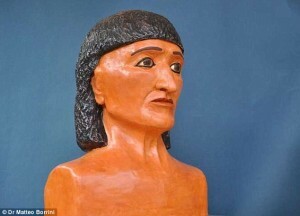 Experts have reconstructed the face of an ancient Egyptian priest using cutting edge forensic techniques. 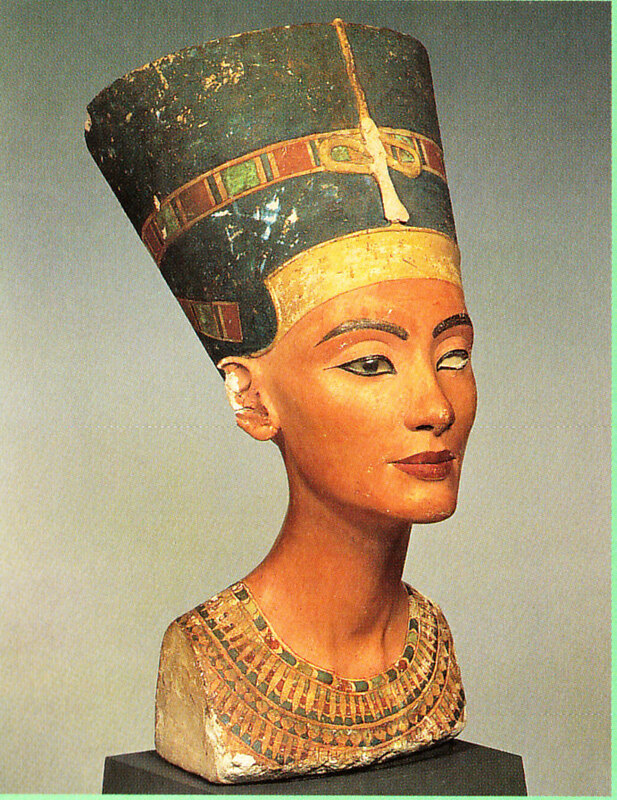 The mummy, called Kent, lived during the XVIII Dynasty and may have witnessed the reigns of Tutankhamen or Nefertiti. A CT scan of the mummy revealed that the man was around aged around 50 years when he died. Dr Matteo Borrini, forensic anthropologist and lecturer at Liverpool John Moores University, applied forensic techniques on the remains to reconstruct the features of the mummy. Scanning allowed scientists to create an exact copy of the skull without disturbing the fragile bandages that hold the remains together. The scan also allowed individual muscles of the face to be reproduced. Experts believe the the mummy, which is the oldest at the Egyptian Museum of Florence, was a high ranking person and probably a dignitary or a priest. 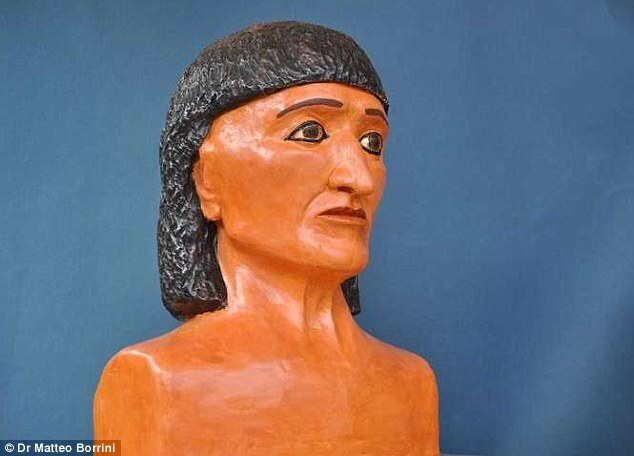 The hair, that could not be approximated from any anatomical remains, were designed by Dr Borrini in collaboration with Professor Donatella Lippi from the University of Florence and the Director of the Egyptian Museum Dr Maria Cristina Guidotti. They took both the dynasty and the social status of the mummy into account when coming up with the style. 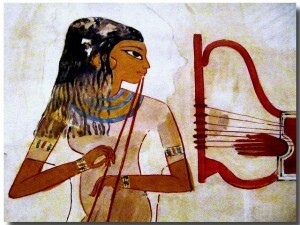 The XVIII Dynasty is perhaps the most famous in the study of Ancient Egypt. Known as the New Kingdom, it was the first of the three dynasties in which ancient Egypt reached the peak of its power. The New Kingdom of Egypt, also referred to as the Egyptian Empire, began in the 16th century BC and ended in the 11th century BC. 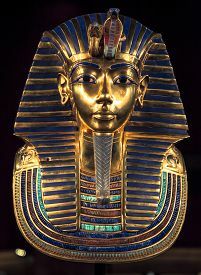 Famous pharaohs of the XVIII Dynasty include Tutankhamen, Hatshepsut, the longest-reigning woman-pharaoh of an indigenous dynasty, and Akhenaten, the ‘heretic pharaoh’, with his queen, Nefertiti. I have been waiting for this for 15 years now, and wonder why it has taken so long?…I will be adding latest updates as they come to hand on this post. Feeling just like a child waiting for sleep Christmas Eve…can hardly stand the suspense – what will they ‘unwrap’! The tomb of King SenebKay (Circa 1650BC)* was discovered in January 2014, and prior to this there had been no record of this King of the Second Intermediate period. 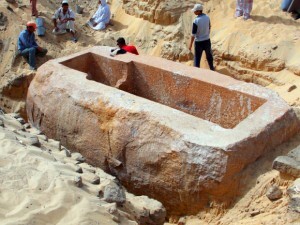 Further to this, archaeologists believe his burial site is just part of a necropolis of a forgotten Dynasty in Abydos, yet to be exhumed. However it is the recent results of the forensic examination on his skeleton, revealing shocking insights into his most brutal death, that have lead scholars to hypothesise that King SenebKay may have fought against the Hyskos during the second intermediate period (Dynasties 13 to 17). This premise is significant as previously it has been thought that King Senakhtenre was probably the first to take arms against the Hyskos. Although Senakhtenre was also unsuccessful in his quest to regain upper Egypt, his attempts (and those of his successor, Seqenenre Tao 11 ‘The Brave’) are believed to have inspired his grandson’s Kamose and Ahmose to also take up arms, but it was Ahmose who finally succeeded in reunifying Upper and Lower Egypt. This great and significant victory by Ahmose 1 began the golden age of the Egyptian Empire. The class will commence with flexibility and strengthening exercises. Each week a new movement/ rhythmic element will be introduced while we work on postural alignment and the two elemental dance movement principles. The benefits of these classes are myriad and cumulative, the longer you stay the more you transform! Thursday 26th Feb 6.30 p.m. till 7.30 p.m. LOCATION: Brighton area, (address given at time of booking) 5 minute walk from Gardenvale Train Station (Sandringham Line). Plenty of parking available, buses also run within walking distance. Perhaps you would like to take advantage of the economy of the full block payment, but worried you might not like it? No problem….For the Introductory Course the first class may be attended as a casual payment ($30) with the balance of the course being payable on the second week ($95.00), should you choose to continue. Yesterday my partner and I went to see ‘Exodus’.. and despite the fact the script was appalling and any attention to facts and timeline non-existent, (i.e. Abu Simbel existing during the time of Sety 1st among other cliche clangers!) – I sat pretty much enthralled through the whole thing, which only proves how desperate I am for anything vaguely pertaining to ancient Egypt. There were some interesting character interpretations from the main players, but as fine a talent as Joel Edgerton is – and he really is – the true tragedy of this film was in his casting as Rameses 11 – (you would think they could find a tall, athletic redhead in Hollywood who is truly omnipotent?- Nicole Kidman with the pharonic beard would have been interesting). I thought Christian Bale a handsome Moses, but perhaps a little overwhelmed with the enormity and weight of it all… There was a stand out performance from Ben Mendelsohn as a corrupt political astute, slithering his way to the top of the pyramid. Speaking of colour, or lack thereof, what was the sepia blue hue throughout most of the film? I felt like I was straining to see through a dark blue veil. Perhaps it was and analogy for the darker aspects of Rameses mind, here characterised here as a kind of ancient Darth Vader. However the lack of colour was particularly perplexing, due to the fact that for ancient Egyptians, colour held significance in ritual and in daily life. The script was constructed using very broad strokes over the biblical timeline with just not enough depth to the charactersÂ and their day to day life and struggles –Â (most walk on and off as though they have wondered in from a neighbouring film set looking for lunch)….when there was any meaningful dialogue between these ancient peeps it was reminiscent of a child’s pantomime…albeit of The Brothers Grimm persuasion. The ‘sets’ were mostly computer generated, but even with all that technology it was visually still largely disappointing. In terms of entertainment value, the original ‘Ten Commandments’ with Charlton Heston leaves this for dead, as does ‘The Egyptian’ with Victor Mature, (corny as these films may now appear, they are amazing productions when you consider they are nearly 60 years old, not to mention the extensive research and the fabulous production value offered at a time when majority of peeps would have accepted just about any visual interpretation as authentic). My partner fell asleep, which was merciful, as he would have complained even more if he had endured the full 150 minutes.Â I watched every little moment and because I am such a desperate, I will no doubt watch it again – and probably end up buying the DVD….A sorry bit of something one loves IS better than nothing at all – it would seem. It wasn’t quite as painful as watching our Molly Meldrum ‘Dance like an Egyptian’ on ‘Dancing with the Stars’….but very close.